This seemingly-abandoned grange worked perfectly for couples portraits… and thankfully, even the bees stayed away (not 100% sure we weren’t trespassing). Guys, if you’re not sure whether or not to get her ring engraved without telling her: DO IT. Just do it. The pastor of the little church where they got married also (a) lived on the church property (so cute) and (b) was the station chief of the fire house not 100 yards down the road. 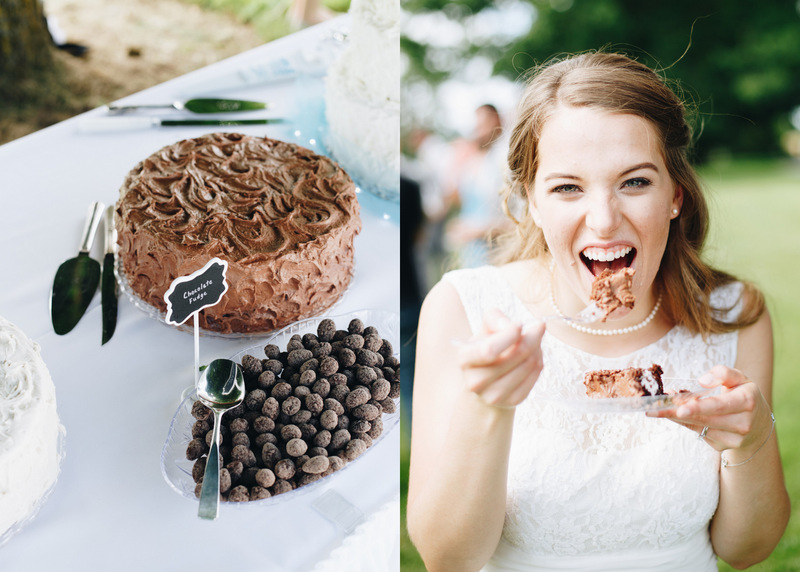 Ladies, EVERY bride should be THIS excited about her cake. adslfiuaweliufhalehfal iqwu iausdhk ajhwe lkfjadshl kjahdsfl a. First dance GOALS: As Time Goes By. And just like being excited about wedding cake: don’t be afraid to blow bubbles, even if you’re a grown man. Her Grandpa was the BEST: Joe and Jess were pulling balloons out one side of the truck, and he just kept stuffing them in the other side! First off, it’s super old (obviously). But even BETTER: three of the four kids in Jess’ family used it as their getaway car! It wouldn’t start for Joe. So what better way to start your honeymoon than having your brand-new father-in-law climb into the cab without to coax the old Ford to life? I love the part where I steal away in a different car and meet the couple for portraits… and nobody else knows. I love you two and being not only your wedding photographer but also you SISTER (*cheers*) is just a bigger blessing than I can handle. Yay to life and love and here’s to more.